Exploration no. 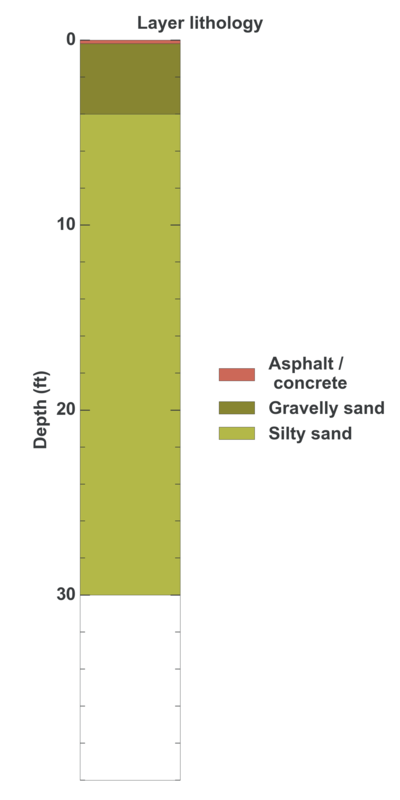 57565 is a Geotechnical (depth 30 feet) named: B-3 described in subsurface document no. 10207. The document, a report titled Undergnd Storage Tank Investigation, Limited Phase II was prepared by Geotechnical and Envirnomental Services, Inc. on 06-09-1999 for a Automotive / fueling depot project.